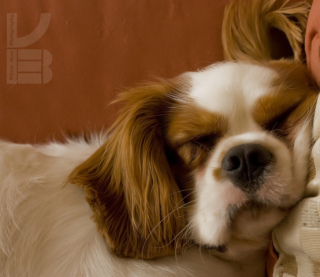 Every dog deserves a comfortable place to sleep, and good dog bedding can provide that. However, with the almost overwhelming amount of choices when it comes to dog beds, it may seem difficult to choose the perfect one. Here are some tips to choose the best dog bed. In order to get a bed which will best suit your pets needs, it's important to gauge his sleeping habits and purchase a bed that will best match him. Some dogs like to sprawl out when they sleep, while others like to crawl up in a nice little ball. Maybe your dog likes to sleep against something. 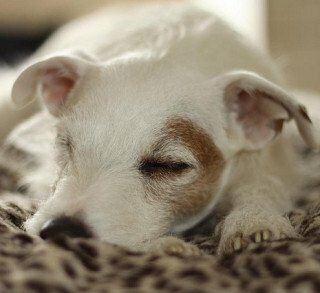 For the clearest idea of how your dog likes to sleep, observe his sleeping habits for a week or two before purchasing the bed. For instance, a dog who likes to sleep against something or rest his head on a raised surface, a good donut bed like the Bagel Dog Bed might be best. For a dog who likes to sprawl out, on the other hand, you may instead choose a pillow dog bed like the K & H Cuddle Cube. Some of the most important elements to consider when choosing a bed are your dogs' age, size, health, behavior, and breed. For instance, if you're buying a bed for a puppy, you'll need to consider the likelihood that the pup will try and chew on his new bed or blanket. Therefore, he can't be left unsupervised with anything containing stuffing, as swallowing it could cause intestinal blockage. Older dogs, on the other hand, often suffer from arthritis and require extra joint support. For these dogs, an orthopedic dog bed like the OrthoPedic 100% Memory Foam Pad Pet Bed. Alternatively, for a smaller dog you'll need a smaller bed, and for a larger one a large bed. Dog beds come in a variety of sizes, styles, and prices. Once you choose what style of bed will best suit your dog, you'll have to decide your budget, and choose the best bed available for that budget. There are a number of styles available, so try your best to choose the one which will keep your dog the most comfortable. Though it may be easy to underestimate the importance of a good dog bed covering, it can make a big difference. The cover should be strong enough that it won't be decimated by dog chewing, but also washable and removable. Covers should be washed at least once a week, and more frequently during flea seasons. No dog wants to sleep on the floor, but with the right dog bed, your dog will have the comfort he deserves. Choose carefully, your dog will thank you for it.